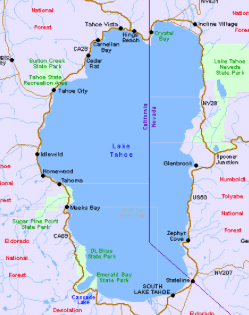 Lake Tahoe is the second deepest lake in the contiguous United States. Only Crater Lake in Oregon is deeper, but Lake Tahoe does earn the distinction of being the largest alpine lake in the U.S. The lake sits like a giant bathtub in between the Sierra Nevada Mountains to the west and the Carson Range to the east. 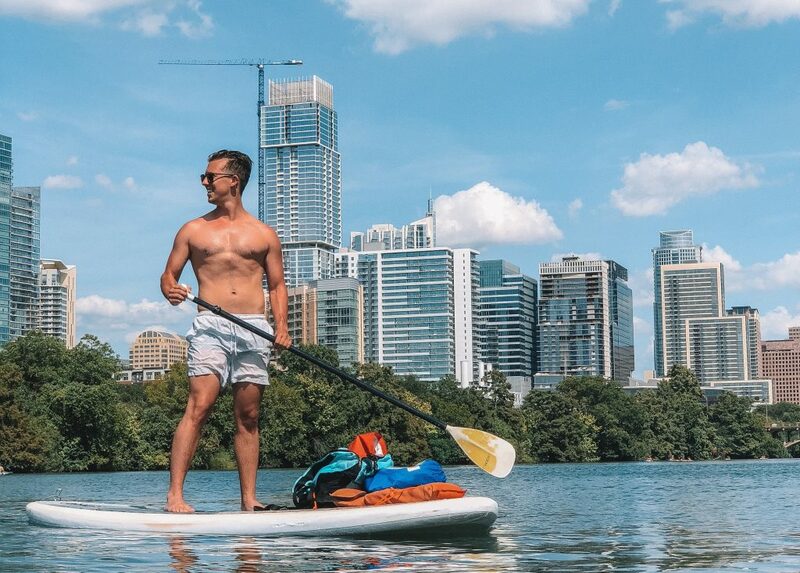 It’s clear, turquoise waters offer some of the most visually stunning lake kayaking in the country. For adventurous kayakers, circumnavigating Lake Tahoe is a worthy challenge. The lake is 72 miles in circumference, which can usually be paddled in a 3-5 day window, depending on pace. If you’re interested in learning how to kayak around Lake Tahoe, we highly suggest you start with these tips. Despite its shoreline sitting at an elevation of roughly 6,220 feet, Lake Tahoe never freezes over. 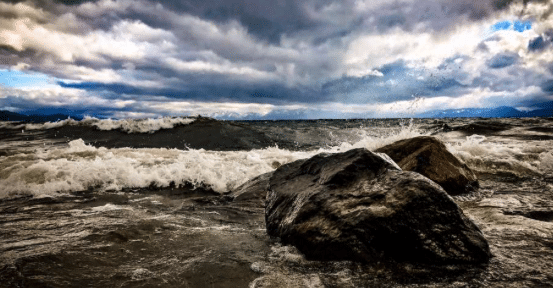 The lake’s surface area is simply too large and regular wind activity keeps the surface moving enough to eschew any ice accumulation, even in the coldest of winter months. That being said, members of the local Coast Guard unit regularly patrol Lake Tahoe’s waters for a reason. Hypothermia is a real danger for many months of the year at Lake Tahoe, so choosing the right time of year for your journey is critical. 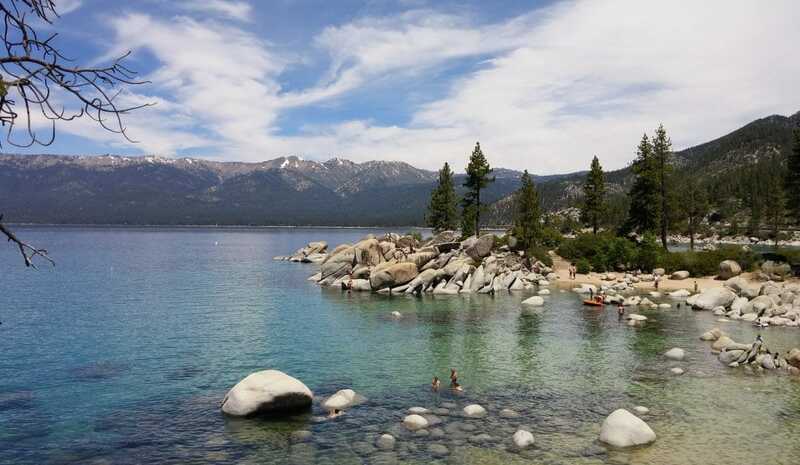 While Lake Tahoe experiences beautiful summer weather that can sometimes span from mid-May to mid-October, the water temperature of the lake can still be down in the low to mid-40s during the spring. 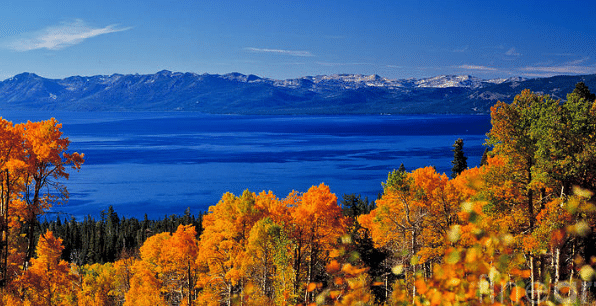 For this reason, combined with the fact that snow can still fall in Tahoe through June, we highly recommend eyeing late summer or early fall for your kayak trip around Lake Tahoe. Looking at a time frame from early September through mid-October will also help you avoid the bulk of the summer crowds. The first major decision you need to make for your kayak trip is whether you want to proceed clockwise or counterclockwise around the lake. 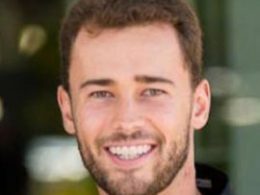 Prevailing winds can play a large role in this decision. For the majority of the summer months, the strongest winds come out of the southwest and move in a northeasterly direction across the lake. If you paddle the lake in a counterclockwise direction, this means the winds will largely be at your back as you paddle up the lake’s eastern shore. That being said, the mountains surrounding Lake Tahoe can cause some odd wind effects. Winds out of the east tend to be the coldest we experience on the lake, as cool desert air from Nevada brings an extra chill to the lake’s surface. Using a weather app like Ventusky is highly recommended for a kayak around Lake Tahoe. In addition to selecting the direction you want to paddle, you’ll need to select a put-in location that’s easily accessible. Lake Tahoe’s eastern shore is very rocky and steep. There are plenty of beaches to launch from at both the north and south ends of the lake. Furthermore, be sure to identify acceptable locations for nightly campsites, how many miles you want to paddle every day, how you’ll keep sleeping gear and clothing dry, and how you’ll keep any essential electronics safe and charged throughout your kayaking trip. Kayaking around Lake Tahoe in a sit-on-top kayak is certainly possible, but you’re going to work a lot harder (and get a lot wetter!) than if you choose a kayak that’s better suited for the job. In general, you’re looking for a touring kayak for a trip as long as the paddle around Lake Tahoe. These usually come in the “sit-inside” variety and offer more storage area than recreational, “sit-on-top” kayaks. 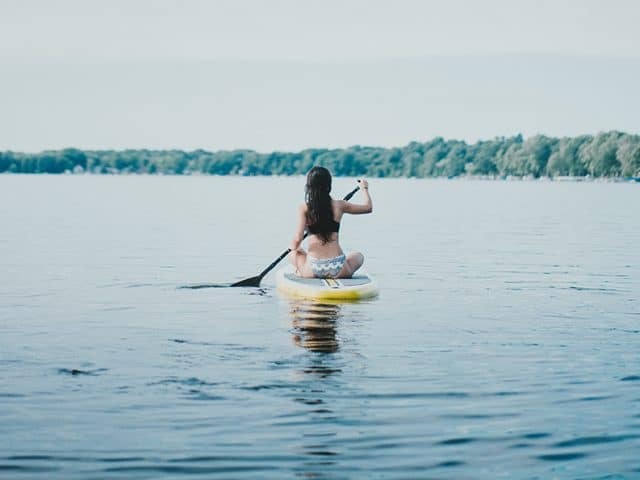 Some touring kayaks also offer the ability to add a spray skirt that will help to keep your lower half (as well as any gear stored at your feet or around your legs) dry when the waves get larger on the lake. Because of Lake Tahoe’s massive surface area (roughly 191 square miles), wind activity on the lake can turn it from glassy in the mornings to oceanic in the afternoons. Having the right equipment to cut through the wind and waves with as minimal effort as possible will help you make the most of your kayaking trip around Lake Tahoe. It’s very important that you are familiar with handling the kayak you choose for your trip. 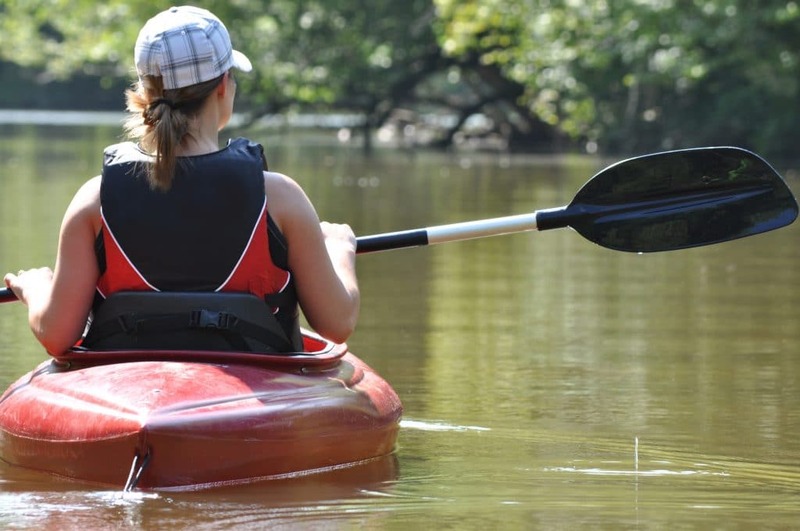 If you want to learn more about selecting a kayak, be sure to check out our article here. As we alluded to in the previous section, weather can change quickly in the mountains around Lake Tahoe. These changes can lead to very different conditions on the lake’s surface. 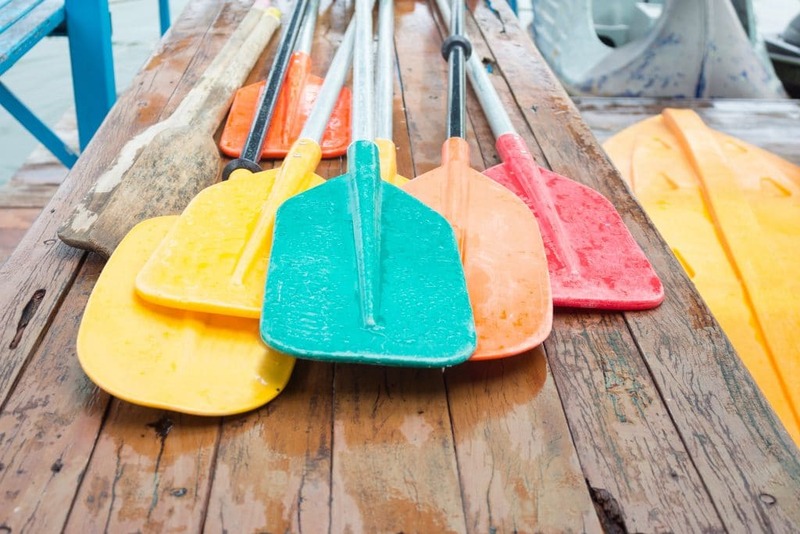 Even if you plan to kayak around Lake Tahoe during the summer, it’s imperative that you’re prepared for any weather scenario imaginable. Temperatures around the lake can range from upwards of 80° F in the heat of the day to the low 30s at night. Even if the weather is perfect for your trip, you’ll want a few extra layers when you pull your kayak up on shore to make camp in the evenings. 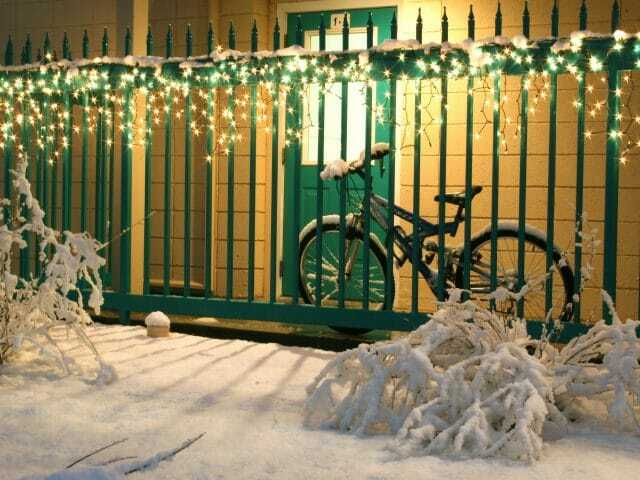 In addition to temperature changes, precipitation is certainly possible. While Lake Tahoe generally experiences most of its precipitation in the form of snow during the winter season, afternoon thunderstorms are not uncommon during the latter parts of summer and early fall. Dry bags are an essential inclusion if you want to keep all of your sleeping and cooking gear, as well as clothing safe and dry throughout the journey. Experiencing Lake Tahoe’s shoreline by kayak is a truly magical experience. With some preparation and the right gear, it’s an experience no one should miss.